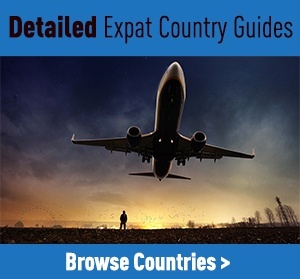 You are at:Home»Around The World»Where Are The Most Popular Destinations For British Expats? Where Are The Most Popular Destinations For British Expats? If there’s one thing that the British love (other than PG Tips), it’s moving away from Britain and settling abroad. The Brits are one of the largest national groups of expats in the world, flocking far and wide in search of sun, employment opportunities and an improved standard of living. Around half of Brits who become expats every year are either moving for an already-secured job or in general search of employment abroad. The rest are usually destined for foreign study, retirement, accompanying family members or, increasingly, working independently for themselves in a new country. Statistics from the World Bank suggest that there are between 4.5-5.5 million British expats in the world — a huge 7-8% of the population. Compare that to the US, where only 0.8% of Americans become expatriates! Australia is the most popular destination on earth for British expats, with many flocking there for the high standard of living, beautiful weather, gorgeous beaches, vibrant cities and plentiful job opportunities. Culturally, the British and Australians are on a similar plane, with the English language in common too. Just like Australia, the USA shares a lot of culture and the language in common with the UK so it’s a no-brainer move for many Brits. There are various barriers to entry to overcome, however, and getting a visa, work permit and residency can be a lengthy and irritating process. How to resist beautiful landscapes, big open spaces, healthy lifestyles and a better healthcare service than the US? Move to Canada, of course! For those that love the big outdoors and have the employment options and finances to support a visa application, Canada is an easy option. Many Brits love raising their kids in the exquisite scenery here. Truly the other side of the world, New Zealand is a fab place to relocate to if you’re a lover of the great outdoors and happy to spend your days in some of the world’s most epic landscapes. New Zealand are keen to attract skilled job candidates in various fields and disciplines so finding a job can be fruitful. Many people love to raise their kids here, taking advantage of the sporty lifestyles and plentiful opportunities for activities. South Africa is the most popular spot in Africa for British expats, loved for its incredible weather, picturesque scenery and wine regions. There are plenty of emerging job and investment opportunities here, although racial tensions and occasional violence may give some expats pause for thought. Just a hop over the Irish Sea (or a quick drive across the border from Northern Ireland), Ireland is the favoured spot for many British expats. The economy is improving here and there are job opportunities in the urban centres, particularly Dublin. There’s generally more open space here than in the UK and those coming in on British wages will find housing affordable. The weather can get a little rainy for some tastes, however! Just over the English Channel, France holds a great appeal for many Brits looking for the thrill of living abroad without having to be too far away from their British roots. Various areas offer different benefits for expats: there’s jobs and opportunities in Paris, the beach lifestyle on the Cote d’Azur, relaxation, food and wine in Provence, and lush scenery in the Alps. Starkly different to French culture, Germany appeals to Brits after efficiency, the best economy in Europe and various cultural idiosyncrasies. Those looking to invest or find employment are most attracted to Germany, as it doesn’t really offer the relaxed lifestyle that many retirees are looking for. Character abounds here and things just get done. As an added bonus, the property is cheap and taxes low. It’s hard not to love Italy. Combining the Mediterranean climate with incredible history and culture, cuisine, scenery and a relaxed lifestyle, Italy is particularly appealing to British retirees. Like in Spain, the economy is quite rough and jobs for Brits are not necessarily easy to come by — especially if you’re not fluent in Italian. Italy also comprises the islands of Sardinia and Sicily. Where would you most like to become an expat?